This is not the best movie you will ever see. The plot is thin and predictable, the dialogue is cringe-worthy at times, and some scenes are just completely ridiculous. It's these same qualities, however, that make it enjoyable. Let's start with a quick synopsis. Tobey Marshall, played by the very talented Aaron Paul, is a small-town street racer and owner of a small garage. After he gets framed for a crime he didn't commit by professional driver and all-around jerk Dino Brewster(Dominic Cooper), Marshall sets out across the country to enter a prestigious illegal street race in hopes of proving his innocence and beating Dino once and for all. It really is that ridiculous. But that's almost a good thing in this case. It allows the action scenes to take center stage, and believe me, there are plenty. Huge jumps, unbelievable crashes, and copious amounts of handbrake turns. Better still, all of these stunts are real. The amount of CGI in this movie is all but zero. Every time you see a car flipping wildly out of control, that actually happened. This makes the action more intense, more thrilling, more oh-my-god-did-you-see-that, edge of your seat, ride of a lifetime enjoyable. 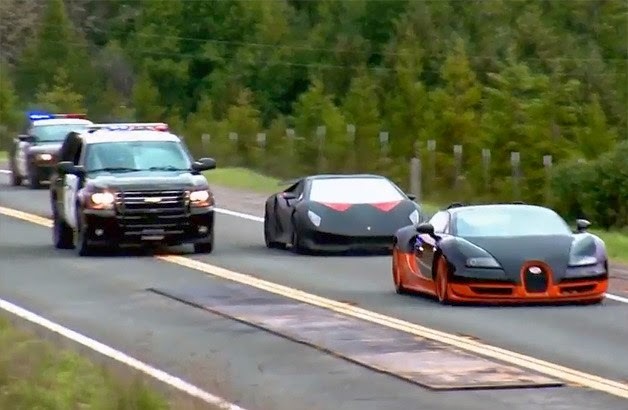 200+ mph through a forest on public roads. Yep, seems like a good idea. The cast is also pretty respectable. Aaron Paul is well known from his role in Breaking Bad, and Dominic Cooper does a great job of making his character so perfectly dislikable. Scott Mescudi, Michael Keaton and Imogen Poots comprise the rest of the main cast, and they do a fairly good job. Dialogue isn't the focus of Need for Speed, but it could certainly be worse. The main stars, of course, are the cars. A modified Ford Mustang takes center stage throughout the majority of the film, and the Koenigsegg Agera R is used prominently as well. The final race includes a number of modern hypercars. There's a Veyron SS, a McLaren P1, a GTA Spano, a Sesto Elemento, and more. The film crew custom built replicas of these cars for the driving scenes so that they could smash and bash all of these extraordinarily expensive and exclusive machines. There's also some classic cars thrown in. A 1968 Torino plays a large role, as does a classic GTO. The "Big Oly" Bronco even makes an appearance. This is not a movie to take seriously. It's based on a videogame after all. All of the crazy stunts and cheesy dialogue feel like a subtle nod to the games that this movie honors. The ridiculous flips and absurd jumps seem to have been pulled directly out of Most Wanted. There are also plenty of references to classic gearhead films. We see the iconic Bullitt car chase playing at a drive-in theater, two characters swap seats while driving much like in Smokey and the Bandit, and there's a scene at a gas station that feels like a direct reference to American Graffiti. 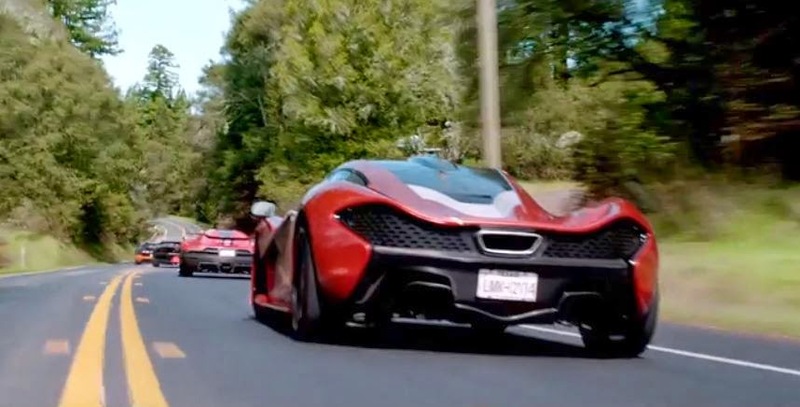 This movie was made for car-lovers. Like I said, this is not the best movie you'll ever see. The plot is too thin, too absurd. It's more of a love note to the old-school B-movies of the 60's and 70's. It's fun, exciting, and full of automotive eye candy. A high-speed romp across the country. It leaves a little bit to be desired, sure. But go the theater, grab some popcorn and see it for yourself. It's a heck of a lot of fun, and you certainly won't regret it.